1. 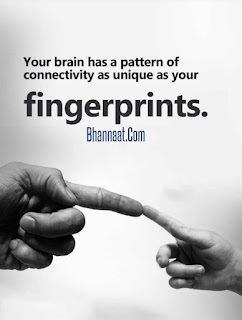 Your brain has a pattern of connectivity as unique as your fingerprints. 2. 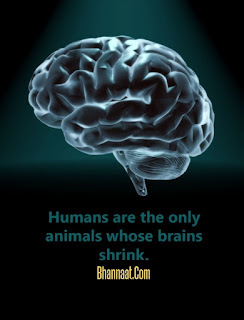 Humans are the only animals whose brains shrink. 3. 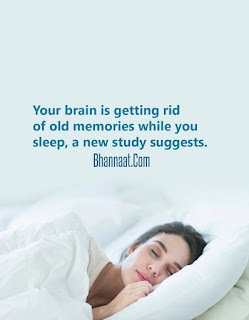 Your brain is getting rid of old memories while you sleep, a new study suggests. 4. 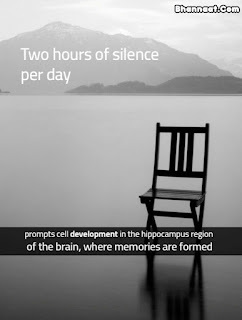 Two hours of silence per day. prompts cell development in the hippo campus region of the brain, where memories are formed. 5. 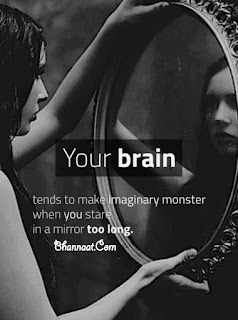 Your brain tends to make imaginary monster when you stare in a mirror too long. 6. 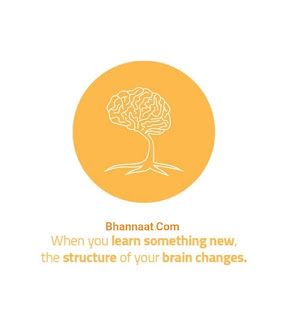 When you learn something new the structure of your brain changes. 7. 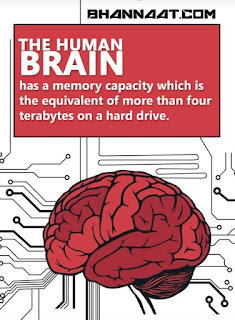 The human brain has a memory capacity which is the equivalent of more than four terabytes on a hard drive. 8. 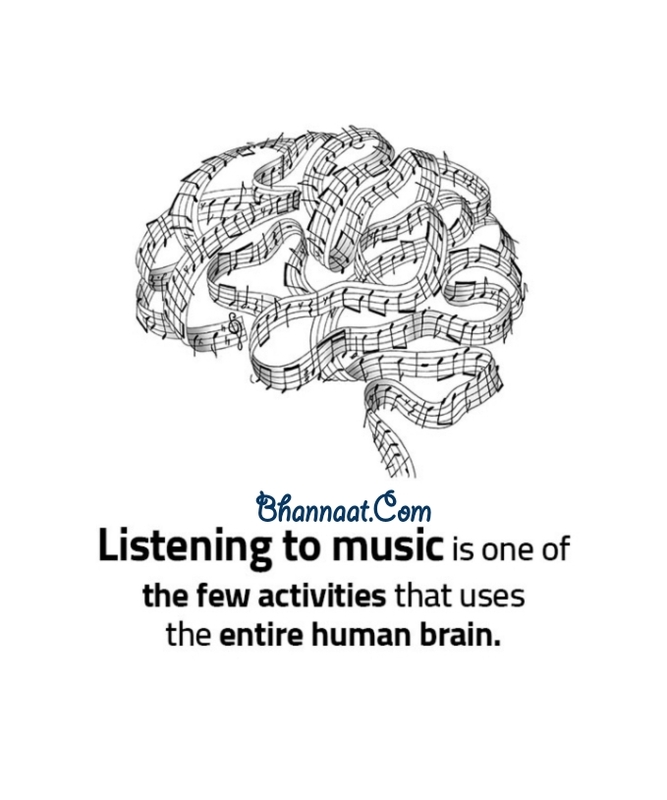 There are people, who have songs permanently stuck in their heads. 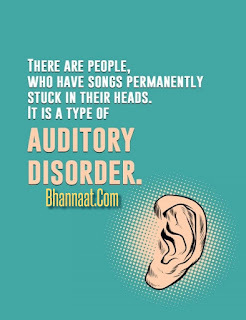 It is a type of Auditory Disorder. 9. 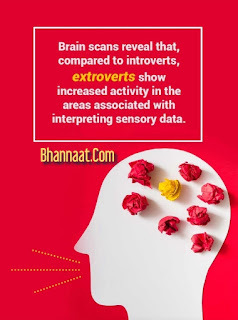 Brain scans reveal that, compared to introverts, extroverts show increased activity in the areas associated with interpreting sensory data. 10. 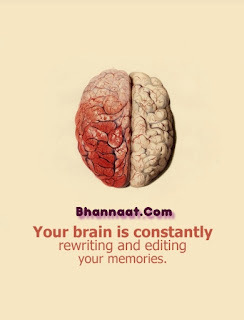 Your brain is constantly rewriting and editing your memories. 11. 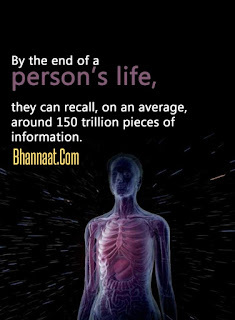 By the end of a person's life, they can recall, on an average around 150 trillion pieces of information. 12. 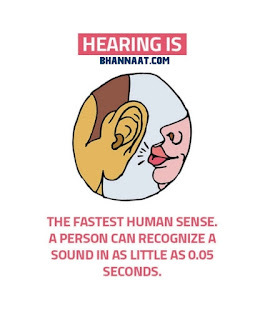 The fastest human sense. A person can recognise a sound in as little as 0.05 seconds. 13. 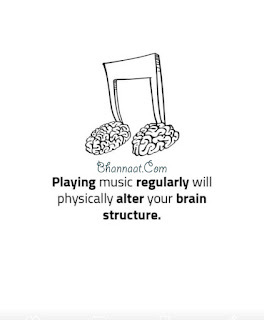 Playing music regularly will physically alter your brain structure. 14. 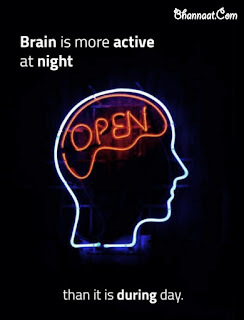 Brain is more active at night. 15. 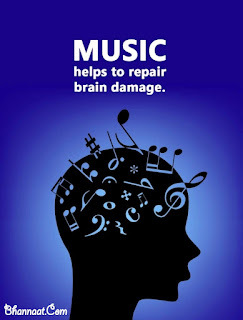 Music helps to repair brain damage. 16. 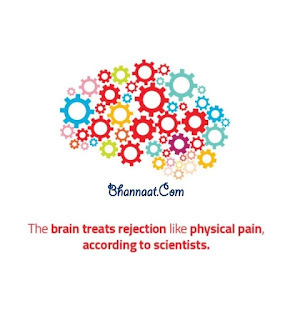 The brain treats rejection like physical pain, according to scientists. 17. 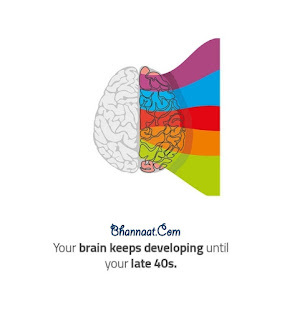 Your brain keeps developing until your late 40s. 18. 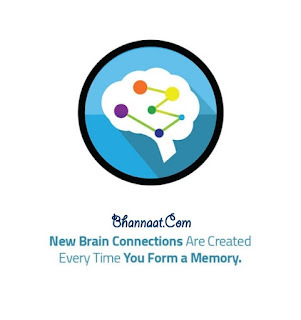 New brain connections are created every time you form a memory. 19. 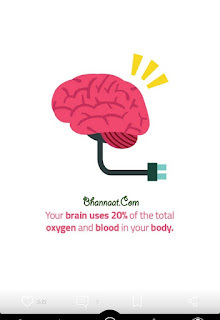 Your brains uses 20% of the total oxygen and blood in your body. 20. 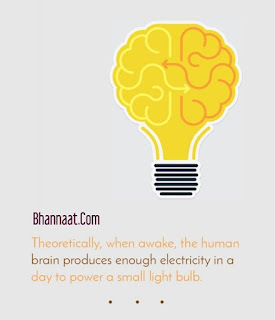 Theoretically, when awake, the human brain produces enough electricity in a day to power a small light bulb. 21. 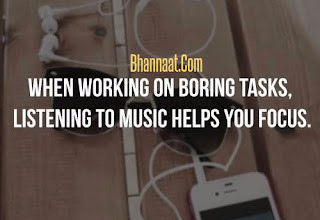 When working on boring tasks, listening to music helps you focus. 22. 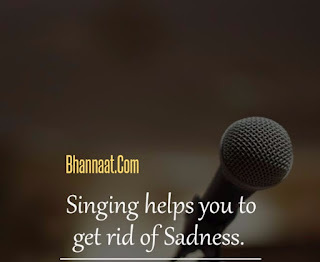 Singing helps you to get rid of Sadness. 23. 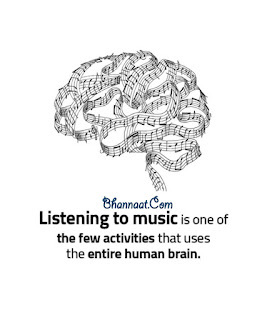 Listening to music is one of the few activities that uses the entire human brain.